VICOM has announced the FTB-9310 channel selector for commissioning and lighting channels in dense wavelength-division multiplexing (DWDM) networks, from EXFO Electro-Optical Engineering, a designer and manufacturer of fibre-optic test, measurement and automation solutions for the telecommunications industry. This high-precision instrument allows network operators to select and isolate (with industry-leading insertion loss levels of 4dB) any International Telecommunication Union (ITU) DWDM channel in the C-Band for bit-error-rate testing and protocol-layer analysis. The FTB-9310 is tailor-made for commissioning and lighting new channels because it enables non-intrusive, low-loss and high-isolation channel filtering. 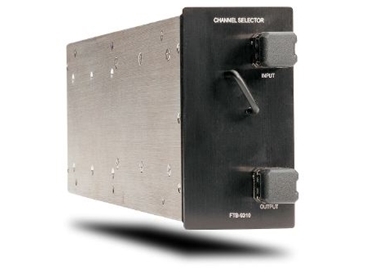 The FTB-9310 channel selector is typically used with the FTB-8000 SONET/SDH 2.5 or 10Gb/s tester for protocol-layer testing applications. The channel selector and SONET/SDH tester can also be combined with the FTB-5240B optical spectrum analyser to provide operators with a complete, one-stop test solution. A significant benefit of the FTB-400 field test platform is that network operators can purchase specifically what they need. Channel selector, SONET/SDH tester, OSA or all three test modules can be selected without compromising OSA specifications or dropping port function in the endeavour to use the same instrument for two different applications. EXFO has also developed the IQS-9310 channel selector for the system manufacturing market. System vendors can use the IQS-9310 for accurate amplifier characterisation or bit-error-rate (BER) performance testing of long-haul and metro systems.